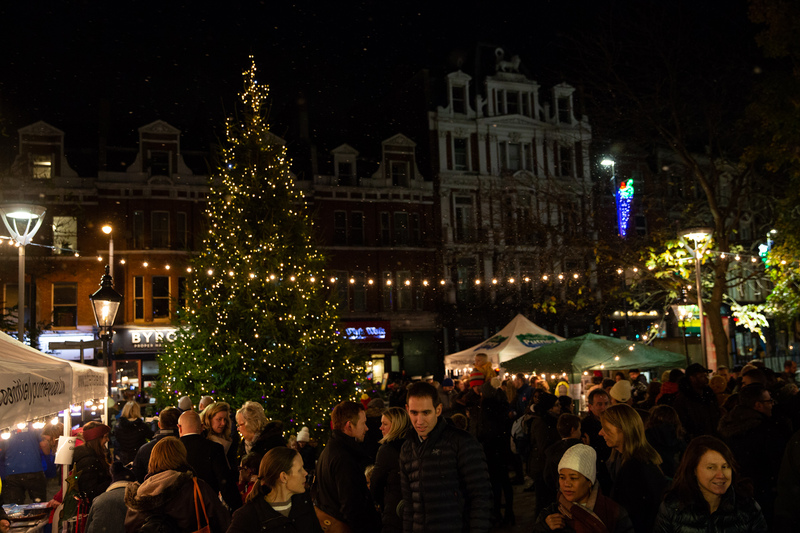 On Friday 30th November, the people of Putney declared Christmas had begun at the 2018 Christmas light switch on party in St Mary’s Church Square. We were entertained with fantastic performances by Hotham School Community Choir, Putney High School, Hurlingham School, Red Star Theatre Arts, Putney Light Operatic Society, Stagecoach Drama School, Group 64 Theatre Youth Company and Putney Theatre Company. The entertainment was broadcast live on Wandsworth Radio throughout the afternoon and evening. Local residents came out in force to support the talent on stage. Festive stalls from local businesses and groups including Bills, Revolution, Putney WI, Putney Travel and Putney Sea Scouts were buzzing. 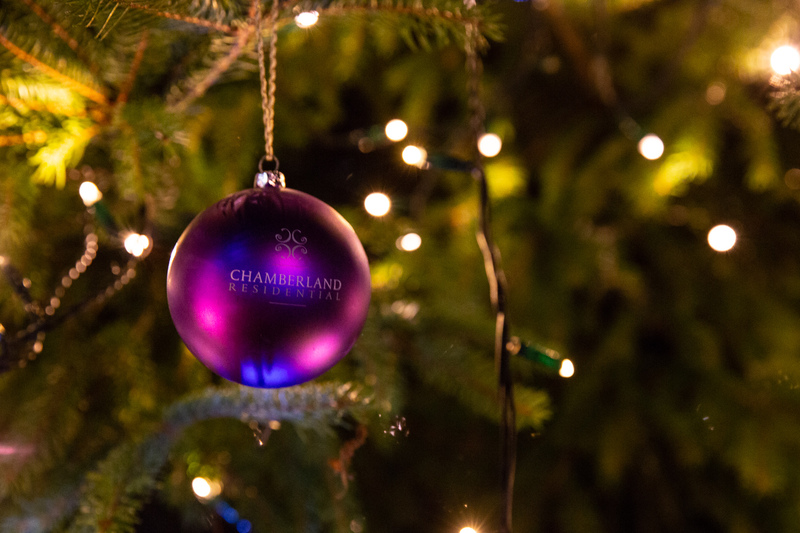 The spectacular tree was kindly sponsored by Chamberland Residential. 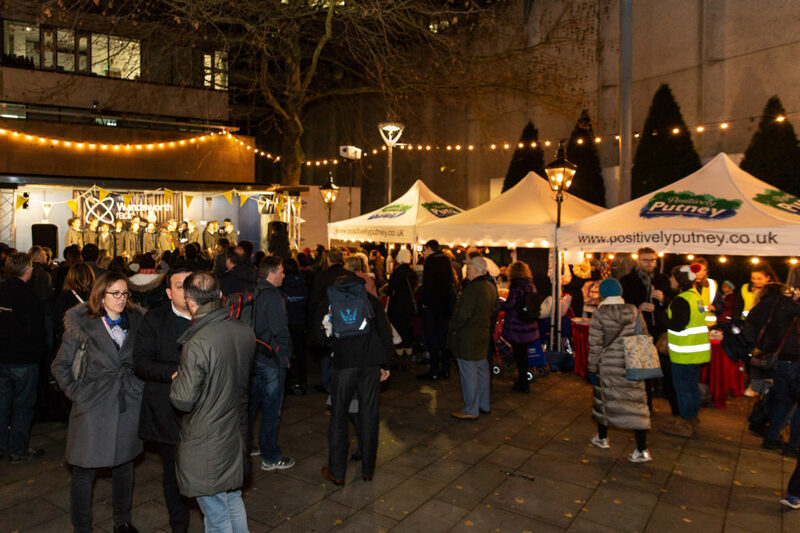 As the sun set and our festoon lights lit up the event, we were drawing closer to the long-awaited light switch on. Following a mighty countdown, the lights on the Christmas tree were finally switched on by our special guest, Kiko Matthews. Kiko told the crowd about battling a life threatening tumour and her inspiration behind rowing the Atlantic solo, taking 49 days which resulted in her setting a new world record. What was your favourite part of the event? 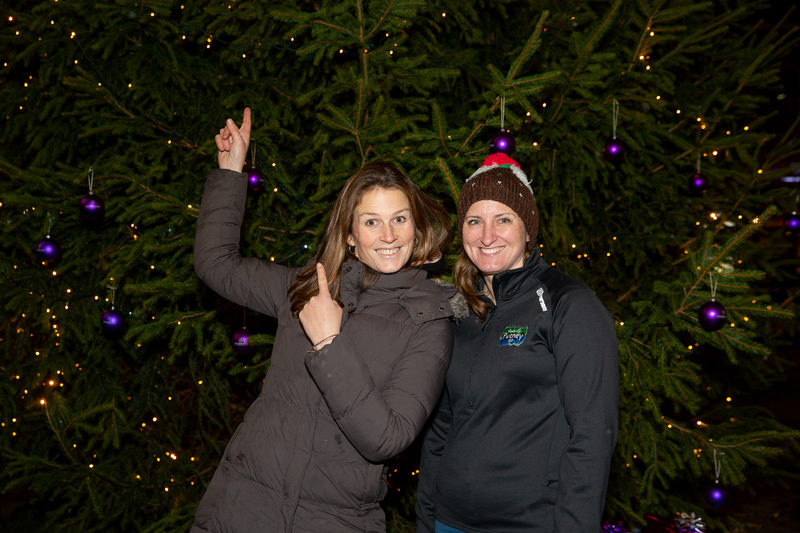 Don’t forget to tag us using #positivelyputney in any pictures you took from the event in our reindeer Snapcab, around the Christmas tree or on our much loved rides – we wouldn’t want to miss them! A big thank you to everyone involved in making the day such a success. Sign up to our newsletter to be the first to know about what’s going on in Putney.